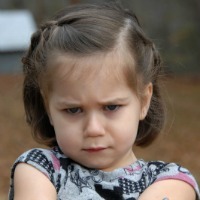 Are you dealing with a strong-willed child? As a mom, I really didn’t deal with this too much until my children became teenagers. However, my son has been a single dad for the past seven years, and I am very involved in his three children’s lives. One of them in particular is extremely strong-willed and, in an effort to get her way, will fight you until you are utterly exhausted. From a strong-willed child’s point of view, it’s their clothes, their schoolwork, their life, and they want to make the decisions on those issues. When you take away control they will fight you to the bitter end. These children are persistent, it is important for you to be more persistent. If your strong-willed child can wear you down or convince you that you were overboard with your discipline, they will. If you are inconsistent with your discipline, your child will battle longer. If you are consistent, the chances of your strong-willed child eventually giving up the fight are increased. Ultimately, your strong-willed child must understand that you’re the boss, and whatever you say, goes. If they are ever to learn how to master their strong will and become emotionally mature, a powerful child needs parents who are strong enough to hold firm boundaries in place, even as their child is fighting against them. What I find inspiring is that these children are going somewhere. They will make a difference in the world one day. But how do we redirect them so that this same strong will is guided in the right direction? What makes these kids successful in the long run is their tenacity. So rather than hate it, embrace it. Don’t fight their stubbornness; learn to redirect it in a direction that works for them. The trouble for you comes when they fight you. So find things that they can do that will challenge their strong wills. Parents must work hard never to break their spirit through criticism, put downs, or shaming them. Healthy discipline occurs when parents help a child yield to their authority and this can be done while preserving the child’s strong sense of self-respect. Parents, every day you have to decide where you’ll draw the line—what behavior is permissible and what will not be tolerated. You’ll have to be ready for battle every day until your child makes his or her own decision to stop battling. The hope is that their determination for control will lessen each day. But until they decide to comply, I guarantee you that you will be pushed and tested. The more often you give in, the worse it will get, and the longer the process will take. If you hold firm, your strong-willed child will eventually give up engaging in many of the fights. Don’t be shortsighted. Raising a strong-willed child is not a sprint; it’s a marathon. Getting all riled up when your strong-willed child defies you is a big mistake too. When you lose your temper and rant or shout at your child, their instinct is to push back even harder. The temptation to see how you dance is irresistible. No matter how irritated and frustrated you may feel, make sure you speak calmly and respectfully when you engage your strong-willed child. Don’t order them around like a drill sergeant. Instead, speak to your child the same way you would address a colleague in a professional workplace. Use words like please. Strong-willed children need leadership that respects them. Here’s where countless parents repeatedly make mistakes which trigger hostility in their strong-willed child. If you use your authority in a way that leaves no choices, there is almost always going to be trouble. Strong-willed children respond better with choices. For example, “Your room needs to be cleaned. Would you like to do it now or after you eat lunch?” Phrasing your request as a question implies a choice for your child. It’s also helpful to ask questions that require a yes or no answer, or to add the word okay to your request. Phrases like this trigger defiance: Get your stuff off this table! Better choices: Would you please clear your homework away? I need you to clear your homework away, okay? I need the table cleared. Do you want to take care of that now, or just before supper? For the strong-willed child, the chance to choose whether to reply yes or no – that is, whether to obey you or not – makes all the difference. They may still choose not to obey, and force you to move on to consequences, but your respectful “choice-based” approach makes that outcome less likely. Try it, and prepare to be amazed! Strong-willed children need respect for their intelligence and problem-solving skills. They have a genuine need to know why a task is worthy of their effort. Convince them, and you’ve won half the battle already. In large part, motivating strong-willed children involves showing confidence in their intelligence, rather than insulting it. Even when they’ve slipped up, strong-willed children want freedom to choose how to remedy the situation in the way they think best. So when there are chores left undone or promises unfulfilled, try approaching the issue as a problem to be solved together. When your child has input into rules and consequences, they’re more inclined to abide by them. Phrases like this trigger defiance: You forgot to empty the dishwasher again. Take care of it now! A better choice: I notice you’ve been forgetting to empty the dishwasher lately. We need a plan to make sure it gets done, and I’d like to hear your ideas after supper. 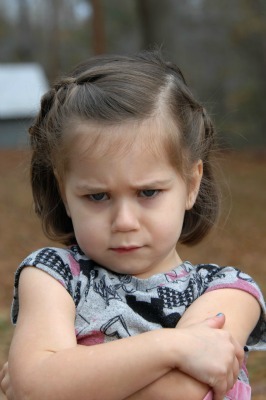 These assertive, argumentative children know they are not always easy to get along with. Many harbor a fear that their parents, who are supposed to love them unconditionally will give up on them. They know there’s a price to pay for making a wrong decision, but they have to know that losing your love will not be part of the cost. When they’re at their worst, tell them clearly that your love will outlast anything they can throw at you. Remember, if you are having a difficult time re-shaping your child’s willfulness, so too is your child. If compliant children need to be praised for choosing obedience – and of course they do – strong-willed children need that praise even more so. Praise your child at every sign that they’re yanking on the reigns and trying to get their powerful will under control. I think this is a problem many parents face today. Many of the “new” parenting methods allow their children to lead and have too many choices. Children thrive with boundaries. Some parents forget or don’t know that when you set boundaries and follow through with consequences, the child may be mad but they will also feel loved. Free reign parenting can overwhelm the child and not give them the security that they crave. Thank you for your comments Jessica! I agree. Children respond much better when they know what to expect and have boundaries. With the strong-willed child boundaries with a couple of choices works really well. I found this to be really insightful and I will be trying to apply more of these tactics to my experiences. Thank you for your comments! I am glad that the article was a help to you!